Did you know that 80% of dog and cat owners have major misconceptions when it comes to their pet’s food? Pet food has been around a long time: it has a life, history, and fascinating bits of trivia that may surprise you. Commercial pet food has been around since 1860 when a guy named James Spratt from Ohio created a biscuit type dog food by carefully compounding a preparation of wheat meals, vegetables, beetroot, and meat to feed dogs on ships going between America and Europe. That’s over 150 years of nutritional evolution to help make your pet’s life better. When it comes to dog food it’s not about taste. 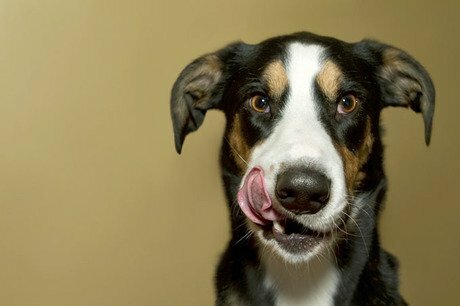 Humans have a strong sense of taste with around 9,000 taste buds compared to a dog’s average of about 1700 taste buds and cats with an average of about 470 taste buds, so it’s common for us humans to have the misconception that our pets feel the same way about the taste of what they are eating. Not so. With our furry family it’s more about the smell, than the taste when it comes to grub. Dogs have about 125 million sensory cells in their noses, as opposed to us humans with our 5 to 10 million, so when your dog loves a food it’s not the flavor so much as the smell that gets that tail wagging or that kitten purring. Ever notice how excited your dogs and cats get when you open a fresh bag of food? Do they seem to lose interest over time? As foods age they lose their delicious aroma, so it’s important to keep your pet’s food fresh and smelling its best. The average dry dog or cat food is at its peak for about a month after you crack that bag open, so be sure to keep the bag closed tight, or in a container with a proper lid to seal in that new food smell. Grain free does not mean starch free. Sometimes people get these two confused. Starchy vegetables like peas and garbanzo beans are important to dog and cat food because of their nutritional value and they help to bond the food together into those lovely little kibble shapes that are easy to scoop into a bowl and cats and dogs love to eat. The most commonly made pet food mistake is overfeeding. Pudgy pets may look cute but it’s not good for them. More than half of our pet dogs and cats are overweight and that can lead to all sorts of health problems. Healthy weight can be supported by proper measurements and avoiding too many treats or human foods. Do you have any questions about your pet’s food? Leave them in the comments below and we may answer your question in a future post. Sponsored by Natural Balance(R) Wild Pursuit™.